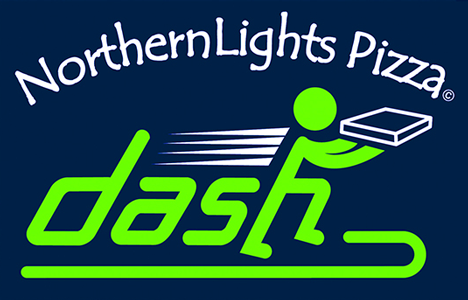 Online ordering menu for Northern Lights Pizza Dash. NorthernLights Pizza® DASH is more than pizza. With dozens of specialty items made with fresh ingredients, you’ll quickly understand why quality is something we just don’t compromise. Choose a custom pizza creation with our signature, hand-tossed TastyCrust™ made just the way you like it’), one of our famous Scooby Snacks™, a mouth-watering Slammich™?, our Amazing Garlic Butter Breadsticks ?or our ?famous local pasta dish—Cavatelli. Whether the family is in the mood for pizza, pasta, breadsticks, wings, or dessert, NorthernLights Pizza® DASH has something delicious for everyone for breakfast, lunch and dinner! Order now and get deliciousness delivered.